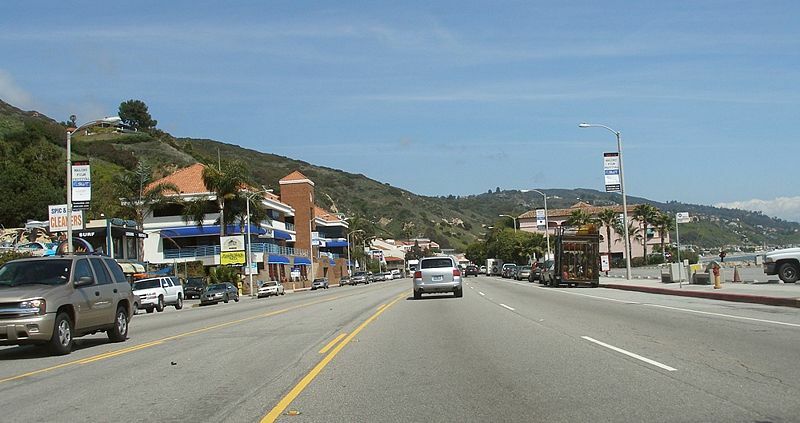 Last week, the City of Malibu released a draft study addressing safety issues on the 21 miles of Pacific Coast Highway (PCH) that runs through the city. The release coincided with the launch of an online survey to garner feedback from the public on a series of possible safety improvements. The 65-page report was prepared by the Irvine-based consultant firm LSA Associates. It lists 80 potential safety issues and lists solutions in order of importance. A list of all the strategies suggested in the report can be found at the bottom of the article. The report’s proposed solutions are mostly about freeing the PCH somewhat from its car-dominated status, including the addition of 21 miles of bike lanes, adding parking meters to parts of the road, and adding more crosswalks and signage at unmarked crosswalks throughout the corridor. Improved access for disabled passengers at bus stops, and improved line-of-sight for drivers at some of the wavier parts of the road are also suggested. The PCH currently has seven lanes, two wide shoulders (sometimes used for parking) four mixed-use lanes, and a center turn lane. Laetz announced Malibu’s launch of this study on Streetsblog in 2011 and recently ran an unsuccessful campaign for City Council. Things have changed in Malibu’s government since 2010, when Safety Commissioner Susan Tellem started a Facebook page begging the California Highway Patrol to target cyclists for tickets. Cyclists swarm to the PCH in many beach towns, drawn to the road itself for training, transportation or recreation. For more, visit Santa Monica Next. Hey, when did it be come “the” PCH? :-) Have you been talking to Ginny? Doesn’t everybody call it that? Did I just reveal my “non-nativeness” again? Nope. It’s the 405, the Santa Monica Freeway, but it’s just PCH or Pacific Coast Highway, you non-native, you. Line-of-site is supposed to be line-of-sight or am I missing something here? I call it “THE” PCH, too, if that makes you feel better. When not abbreviating, I typically do say “the” Pacific Coast Highway. But when abbreviating “PCH”, I always drop the “the”. It never occurred to be think about that, but yes in talking about PCH, I think for most Californians, it defies some of the conventions typical to other discussing other highways and freeways.